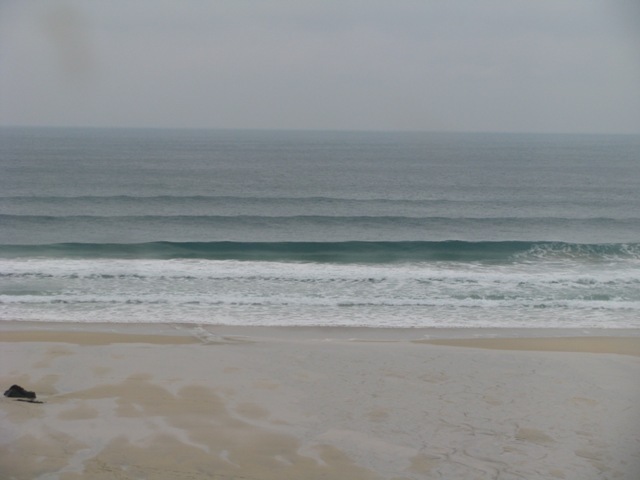 P'noe was nice but small today.Then hit Gwenver for high tide session.Not bad.Heading to Crantock after work tomorrow.Prob Wed too.Fri/Sat look like rivermouth or some such like. 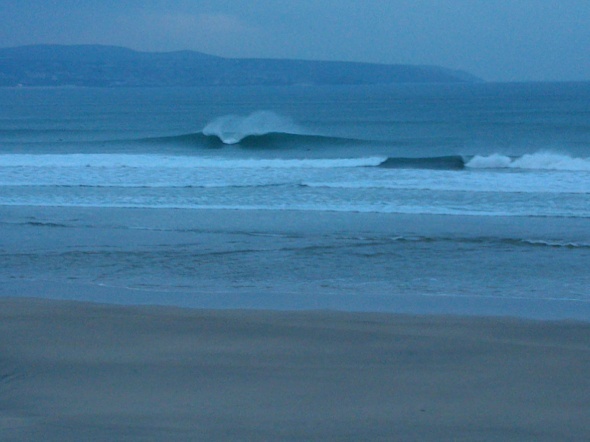 piskian wrote: P'noe was nice but small today.Then hit Gwenver for high tide session.Not bad.Heading to Crantock after work tomorrow.Prob Wed too.Fri/Sat look like rivermouth or some such like. Pentewan sunday chaps. I feel it in my bones. Plenty of waves about over the coming week. I'm looking at Friday. I reckon Pentewan might be on then too. Turned out to be weak and backing off by the time I'd got in. Had a beautiful seal pup and its mum come up and say hello which was the high-point of the session. Invented a field-expedient drysock solution that worked a treat . It involves putting a pair of cotton socks on, then a co-op carrier bag (preferably) over each foot, followed by ye olde finsocks over the top of all that. No loss of circulation to my toes at all (unlike last time). Just got back from high tide session.Headhigh+ barrel takeoffs to easy mellow rides from river cliff to beyond lifeguard hut.Think I'll go back tomorrow and day after. Weekend looks interesting for a few marginal spots. Surprised it wasn't dark by the time you'd got that lot on! Glad the waves are good. Bodes for a quiet weekend. Surf Empty and I have a Christmas do on Friday night so I'll be surfing Friday and Sunday. I'm still eying Pentewan for both at the mo. 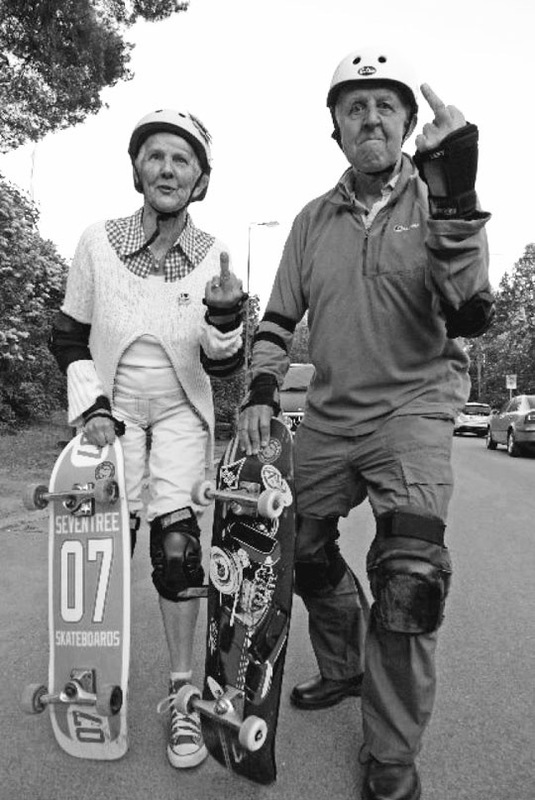 Ta to Bikesnobnyc for that.Unusual,a genuinely funny American. piskian wrote: Just got back from high tide session.Headhigh+ barrel takeoffs to easy mellow rides from river cliff to beyond lifeguard hut.Think I'll go back tomorrow and day after. Pentewan looks increasingly appealing for Sun. Free friday/saturday,dunno about Sunday yet.Looking fwd to some Roseland action.Smaller today on the "North Shore"(as our friend Des says) and chillier.Where you scallywags going for your Friday booze-up?My window cleaner's doing me&Kana a Moroccan tagine with Tobermory malts.Hangover-a-go-go! piskian wrote: Where you scallywags going for your Friday booze-up? Staff party in Penryn on Friday. Off tomorrow so may try and get the mat out somewhere. piskian wrote: Free friday/saturday,dunno about Sunday yet.Looking fwd to some Roseland action.Smaller today on the "North Shore"(as our friend Des says) and chillier.Where you scallywags going for your Friday booze-up?My window cleaner's doing me&Kana a Moroccan tagine with Tobermory malts.Hangover-a-go-go! Might try to shuffle stuff about and get in tomorrow local as Friday looks pretty short fetched. I'll see how things pan out. Steep and punchy sets were on the menu today. Looked ok but turned out to be a bit of a crap session in the end. Sort of an "all or nothing day" - waves were either insanely fast jacked-up vert barrels or backed-off drudge. Great afternoon at Hayle rivermouth.Long,long rides. I'll have a look at Pentewan tomorrow,praps after 9 when the wind goes SW a bit. Free Sat and Sun mornings too,so plenty of time to meet up! Should've joimed Ian James. Perfect for Hayle today. Had Chally this avo. Pretty good. I'm gonna weld up my mat tomorrow so won't be surfing but will be down Sunday. Looks good for Pentewan or maybe somewhere further down on the high tide on sunday but us'll see. GRAYMAN wrote: Should've joimed Ian James. Perfect for Hayle today. Yeah, I know. Reckon I'll be busy Fri/Sat but would be up for a meet Sunday morning if plans are afoot. Here's today. Just two of us out. 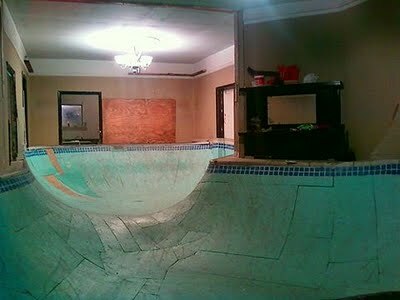 looks like a nice left you had there! If I ever moved back to Cornwall I'd still make the trek for Chally. 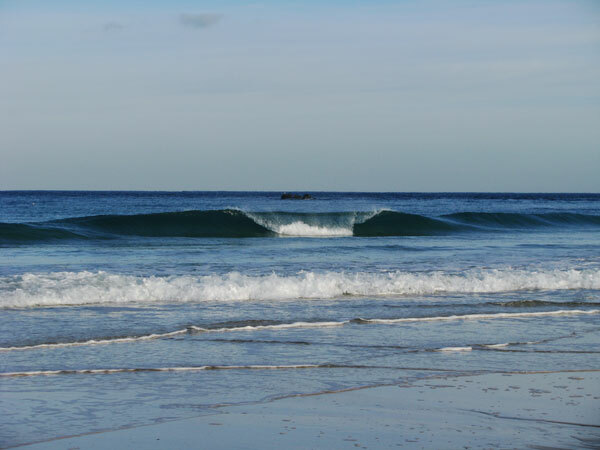 Surfed Pentewan first today-headhigh awful nonsense.So went on the traditional Roseland wavehunt,via Portmelons,Lord Zumba's favela,Caerhays(actually smaller and cleaner than Pentewan,hmm)then down to Portscatho,which was cranking off the reef to the left.A few barrels,very shallow but fun. What time at the spot Sunday? How about we get to Secret City for 07.30? We can head elsewhere if needed... Fickle feckin place!